Federico is now the proud wearer of the GNOME Thank You Pants! Everybody hug him! We didn't really have time to announce the GNOME Love/Hate wall that's at GUADEC, but there were still many people adding notes there (even though if some of them disappeared after a while). Nice advisory board meeting this afternoon: I'm quite happy about how it went. Raphaël and I are going to continue our months-long tradition of going to eat in a gourmet restaurant. Danilo is still drunk. We're used to it now. Lots of people come to me to talk about applets and panel, and stuff. Danilo has a good point explaining my surprise about this: "true, why are they coming to you? You know nothing about all this." Lucas' Finnish is perfect. Now I know why. 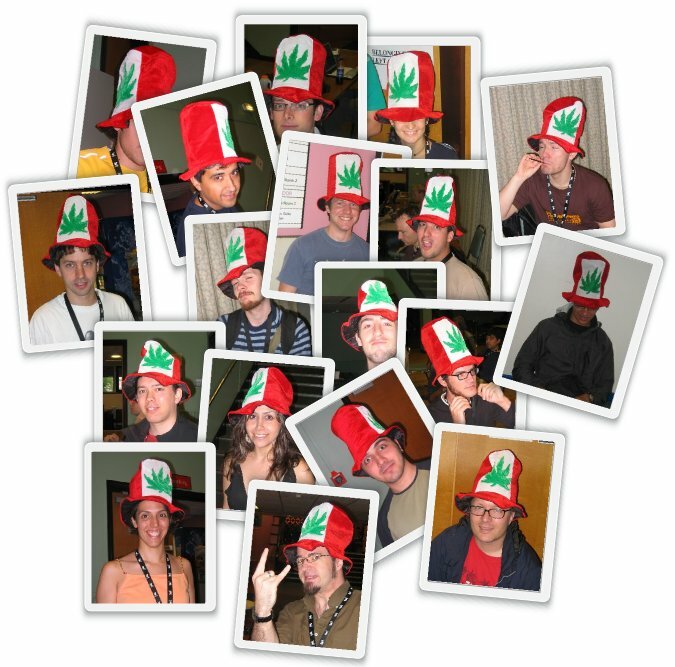 Oh, Behdad, I found an USB key with this image. There was a small message with it: "If you want to have it back, you have to fix 20 pango bugs before tomorrow morning." I'm sorry. Really. 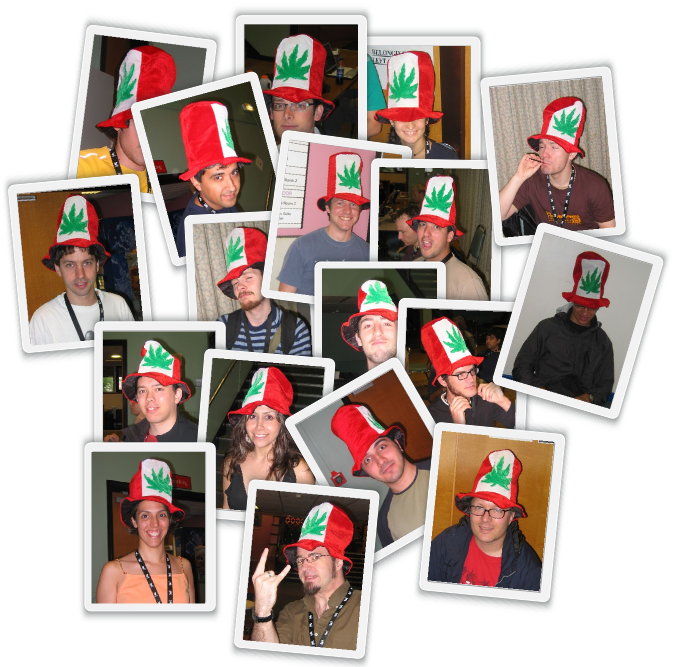 I think the primary issue with the pictures is the lack of cworth wearing a pot hat. otaylor, andreas, Gman, pedro?, ? Missing people from Behdad's list: danilo (he was the one), vincent (the dutch one), silvia, carlos.